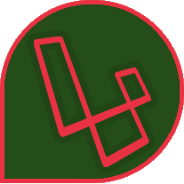 Today hello laravel has published blog site . now you can enjoy laravel related posts and topics. You can easily setup vue-cli in your windows machine. Painless React Webpack theme . Webpack has awesome feature . If you are vue or laravel developer you are familiar with webpack . Atom Laravel Snippet Master . For Laravel+Atom❤️ . You can use laravel snippet easily by atom-lara . The Story Behind The Name of laravel . Laravel (Lar-a-vel) is a famous and popular php framework . It’s creator is Taylor Otwell 😍 . Laravel awesome is feature is auth system . You can add many additional step easily . Socialite is awesome package for social auth system . Zipper is common topic . you can make zip and unzip with Chumper/zipper . Eloquent accessor is important part for retrieve and set with some changing . Vue router is helpful for creating a single page site . you can snippet in your atom editor by atom vue router . Axios is awesome Promise based HTTP client for the browser and node.js . Xdebug install in your localhost as like atom , wamp ,xampp or other .